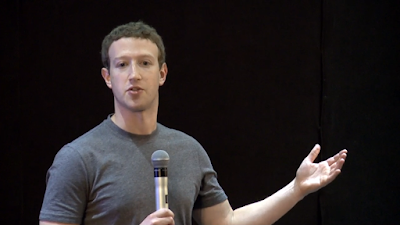 What was Mr. Zuckerberg "lashing out" about? 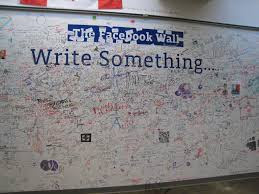 It appears that someone with access to "The Facebook Wall," pictured below, decided to strike out a message on the Wall that said, "Black Lives Matter." The "Black Lives Matter" statement was replaced with a statement that read, "All Lives Matter." You can read about this incident, which almost certainly reflected an action by a Facebook employee, by clicking this link. 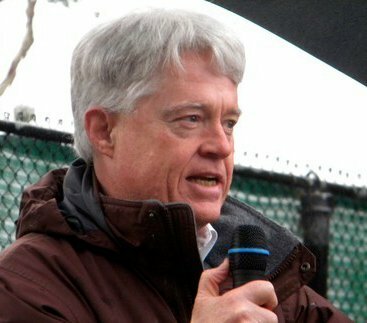 I agree with Freada Kapoor Klein, a partner at the Kapor Center for Social Impact in Oakland, who said that "'All Lives Matter' is one of a number of coded phrases that tell employees of color that they don't really belong." Furthermore, while it would have been perfectly appropriate to add a statement to the Wall that said, "All Lives Matter," since that is clearly a true statement, too, crossing out the "Black Lives Matter" statement was absolutely an assertion that Black Lives DON'T Matter. This incident provides a very good example of the phenomenon I talked about in yesterday's posting, reflecting a politics that allows us to be played off, one against the other, black against white, gay against straight, male against female, category against category. The fact that we are "all in this together" is precisely why "Black Lives Matter." Thanks to Mark Zuckerberg for "lashing out."